Benefit. I first knew of this brand when I was in San Francisco some years back. The store was like a Candy store, and everything looked fun and girly. The pretty and quirky packaging appealed to me almost immediately (I'm like that too, no? ^.^), and I bought their signature Benetint (lip and cheek stain) and High Beam (a highlighter). 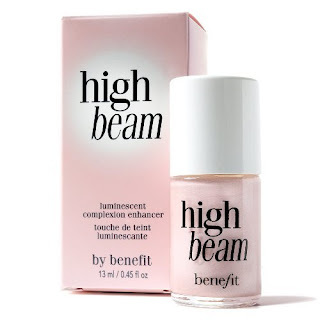 Thus began my affair with Benefit Cosmetics. The brand wasn't available in Singapore then so whenever I go to the States, I'd go check if they have new stuff. Don't apply on your nails hor! 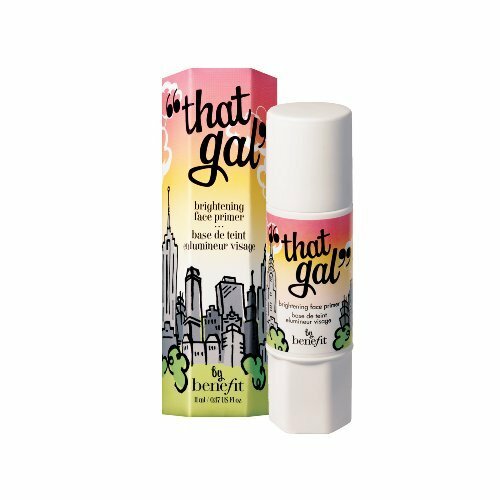 This one's for your cheeks and lips!!! 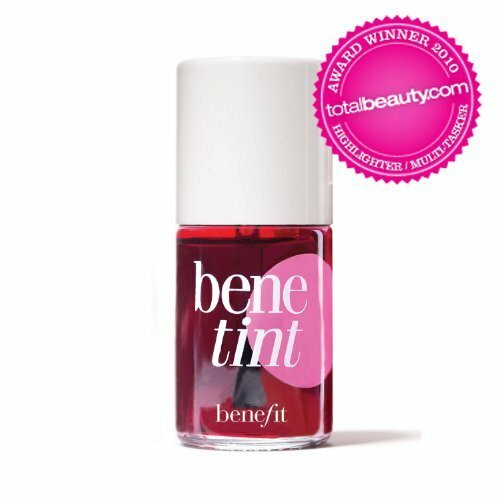 This looks really reddish, but it creates a nice mild rosy hue on wherever you choose to apply it. And it stays!!! I used to use this when I was flying, and the blusher stayed on for 20 over hours!!! This creates a nice glow on your cheeks and along the bridge of the nose. Just dab and blend. See the difference in the left and right side of the face? The make-up demo was done only on the left side. I had some queries, so I was being demo-ed on to help answer my questions. Because the lady said that when you use Benefit, there is no particular order which you use things. You can already have some make-up on but you can still apply their "That Gal" brightening face primer over your makeup! I was naturally not convinced right? Since putting anything over a powdered face was sure to smudge the foundation and leave the powdered areas cakey. I had absolutely no inspiration on what I intended to do, but I just got started and hoped it would get me somewhere. The winning Cupcake belongs to Celestina. Hers is the neatest one on the top right. After the Cupcake session, the wonderful ladies from Benefit had a small surprise for me! The sweet Daphne from Benefit. You know, this is such a girly event, but guess who I brought along with me? More on my birthday soon!!! !